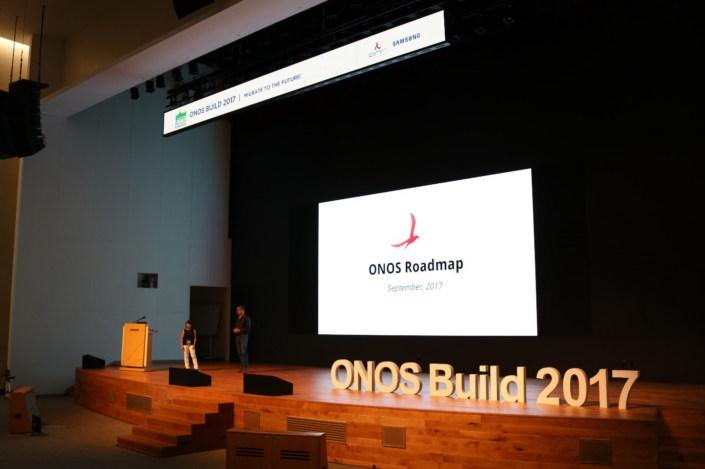 In partnership with the Open Networking Foundation (ONF), Samsung hosted ONOS BUILD 2017 at its R&D Campus in Seoul from September 20 to 22. Under the theme “Migrate to the Future!”, the second annual event united around 250 developers and contributors from around the world to share, plan and hack their way toward building next-generation software-defined networking (SDN) and network functions virtualization (NFV) solutions using the Open Network Operating System (ONOSTM). 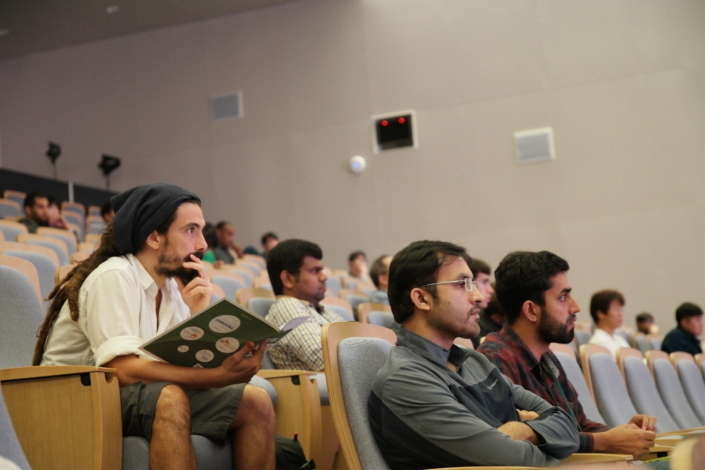 Check out the highlights of the event in the photos below. There are two principal objectives that Samsung Electronics is currently hoping to accomplish: establishing an open ecosystem with the aim of applying virtualization technologies to carrier-grade networks, and developing network slicing technology for 5G networks. To realize these goals, the company is working to accelerate innovation in the field by encouraging the sharing of knowledge among key figures in the open source community at events such as ONOS BUILD 2017. 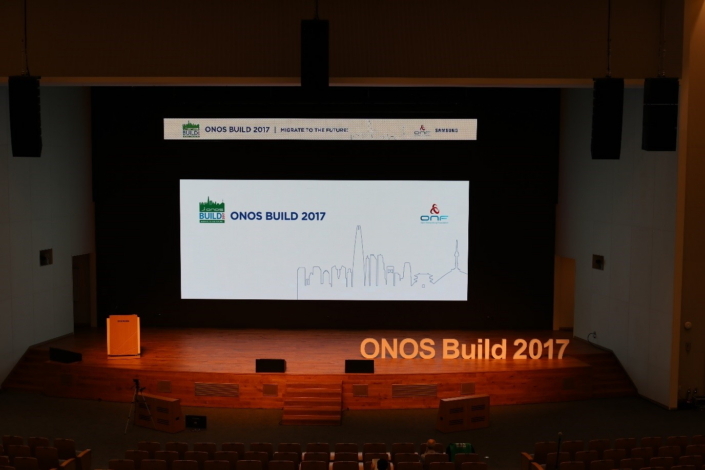 At ONOS BUILD 2017, it was announced that ONOSTM is gaining recognition as being applicable for trial and service usage in telecommunications networks, and that it is solidifying its stance as a critical platform for service providers in network operation. It was also emphasized that community expansion is vital for sustainable growth and technical support. 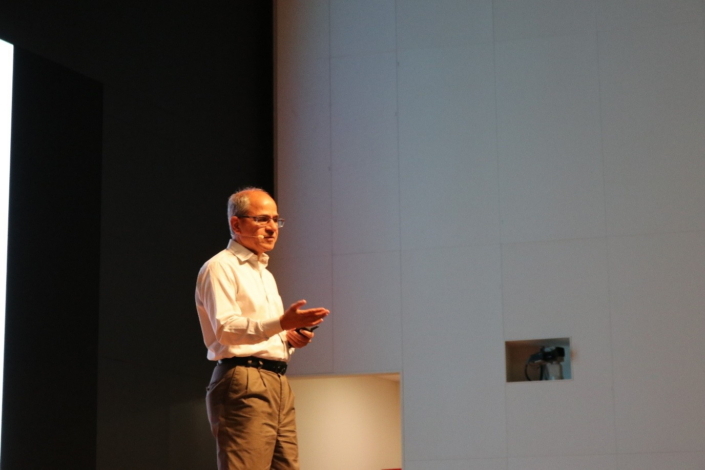 Professor Guru Parulkar, Executive Director of ONF and a leading scholar in the field of virtualization, gave the keynote speech. A key figure in the establishment of multiple open source communities such as ONOSTM and CORDTM, Parulkar has been influential in fostering the development of virtualization technologies such as NFV and SDN. Sohyong Chong, Vice President of the Virtualization Platform Lab at Samsung Electronics, introduced the company’s virtualization solutions as well as their role in helping networks cope with increased data traffic, and achieving automation of network operation and service agility. He also discussed how these solutions have garnered much attention from telecommunication networks, and how their application scenarios relevant to networks are more diverse, thanks to the increasing number of options such as OpenStack and the Data Plane Development Kit (DPDK). Chong went on to announce that Samsung will be providing Network as a Service (NaaS) as a software-based open platform, bringing together diverse analytics and automation tools. Through its commercial deployment of open source-based NFV/SDN solutions, he noted, Samsung is securing its position as a leader in the open source community such as ONOS and CORD. Thomas Vachuska, Chief Architect at Open Networking Foundation, and Uyen Chau at ON.Lab, announced the ONOSTM roadmap, which is intended to provide information about what is being planned for upcoming ONOSTM releases and to offer guidance about how developers can help to deliver these items. 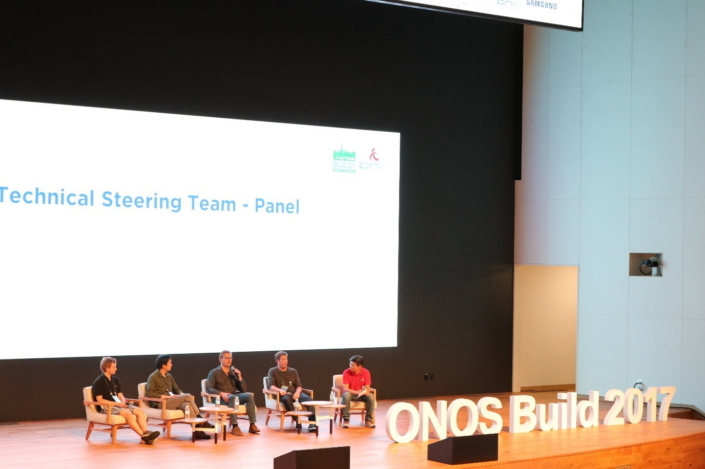 A panel made up of the ONOSTM Technical Steering Team (Sangho Shin, Jonathan Hart, Yuta Higuchi, Brian O’Connor and Thomas Vachuska) took questions from the audience and openly discussed various topics like future agendas, performance in the field and tips to build the community stronger. 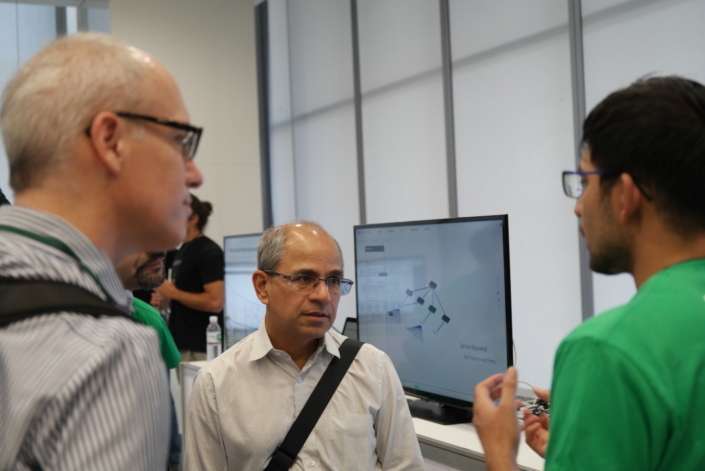 Samsung showcased its 5G Network Slicing as well as its 3D SDN orchestrator which enables network operators to toggle in and out network elements, and analyze the root cause of technical problems via intuitive 3D graphical user interfaces (GUI). 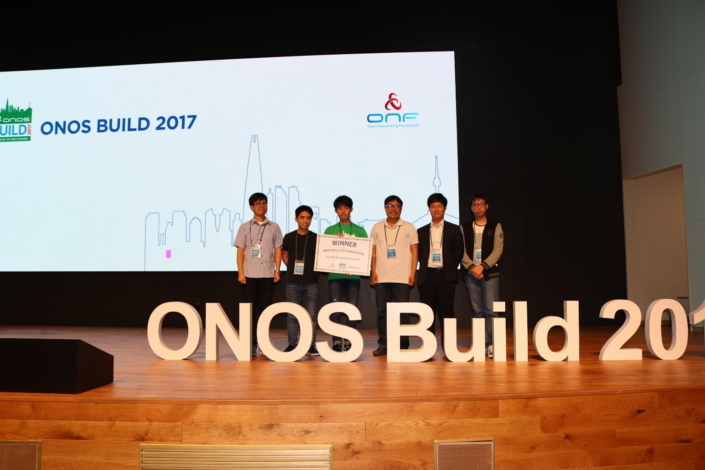 A hackathon – an event where programmers collaboratively code in an extreme manner over a day – was another highlight of ONOS BUILD 2017. Teams of developers competed to create a ‘Tap feature’ which is critical to analyze and manage data traffic on a network using a virtualization solution. After two days of coding, the POSTECH team named the winner.